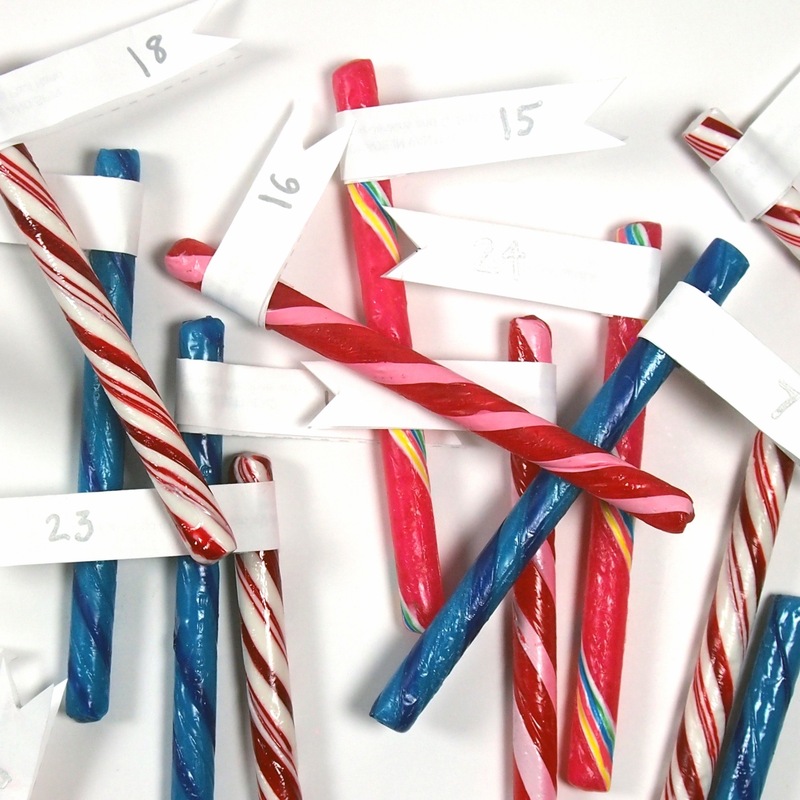 I’m so excited about this project: an advent calendar that brings picture books to life! 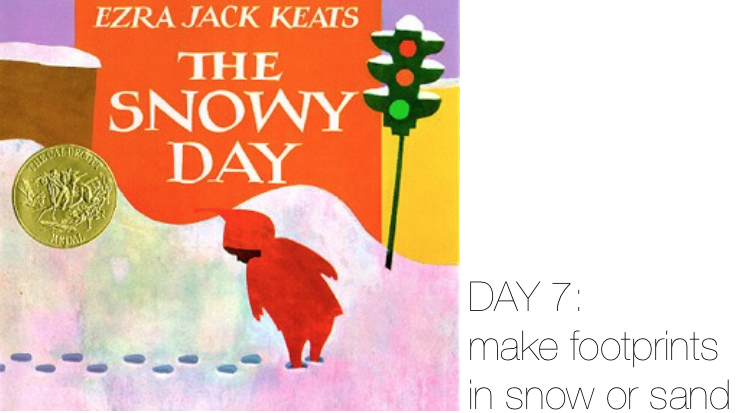 Count down all 24 days to Christmas by reading a seasonally-themed picture book and an activity that goes with it—and I promise they’re super simple. Scroll down for the details! 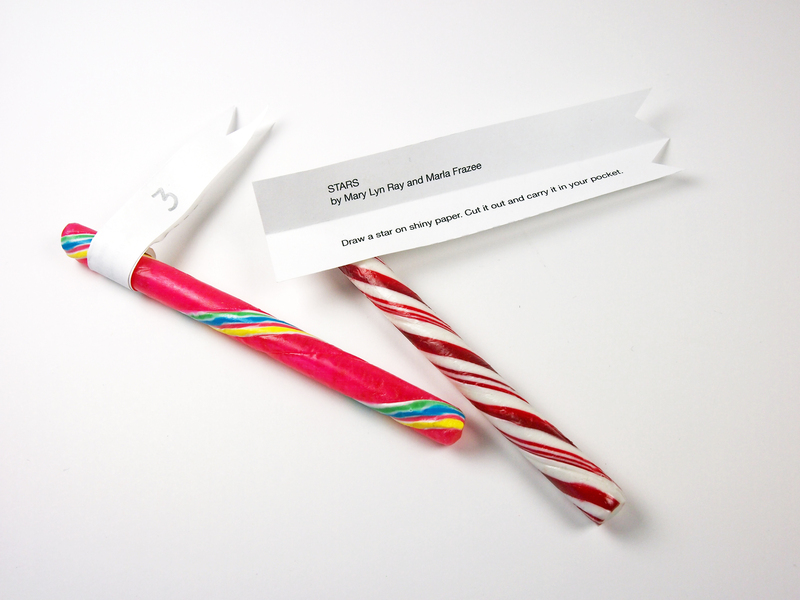 Each paper flag has a book title and a simple craft or activity—from making a paper snowflake to writing a letter to a friend to giving away something you own. And I put together a template you can print to make it as easy as possible! Print out the template. 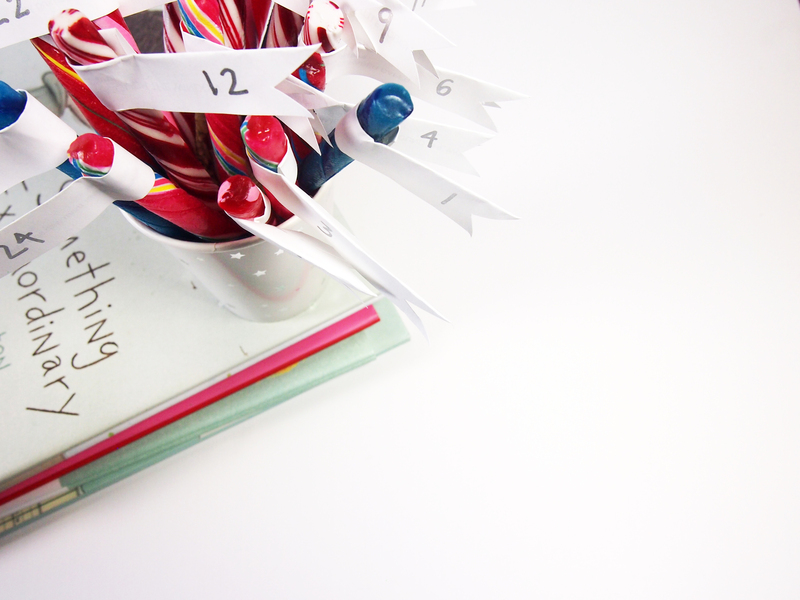 Cut along the lines so you have 24 paper slips, one for each book/activity. Fold each slip in half and cut a triangle shape out of one end (you can make some right and some left-facing flags if you like). Write the corresponding number on the paper (or save this step for last). 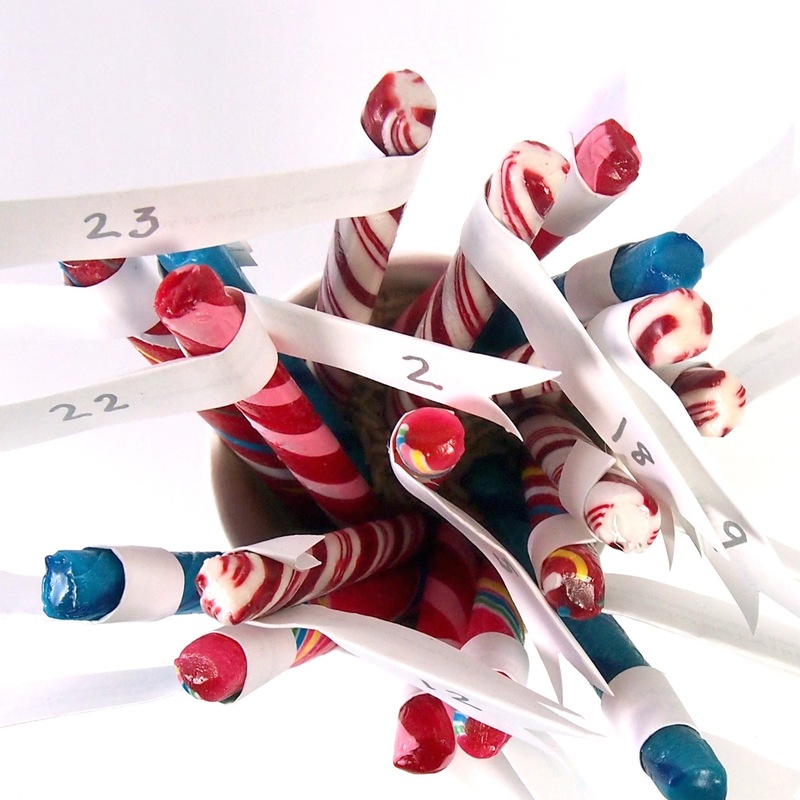 Using a glue gun, glue each paper flag around a candy stick. 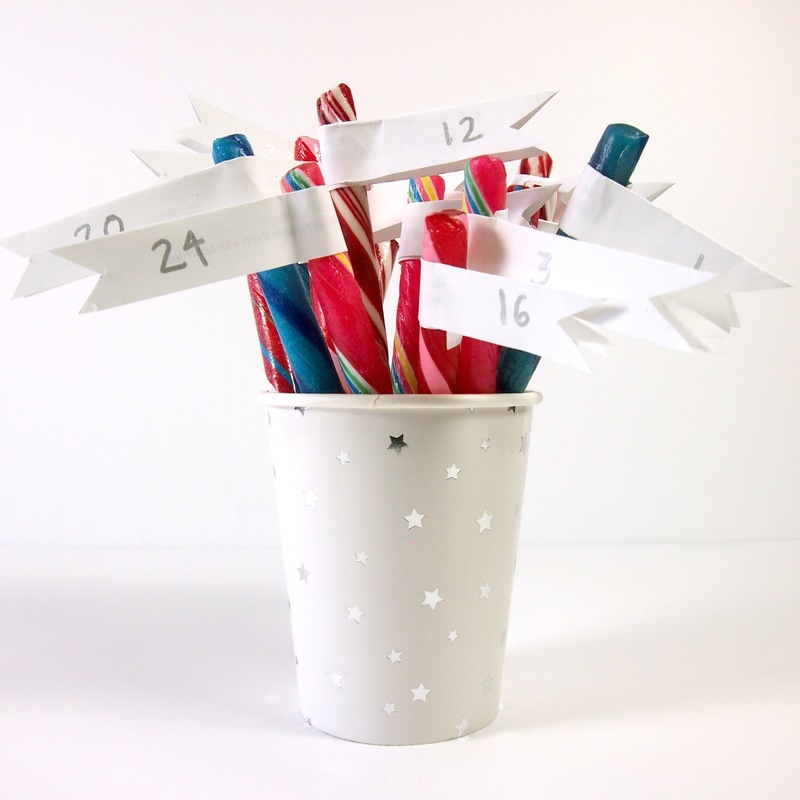 Put your candies in a cup or vase or mug. I poured rice in the bottom to elevate the sticks so I could see more of those colorful stripes. Here’s how I’ve broken down the calendar (and remember, you can follow this without the craft part too). 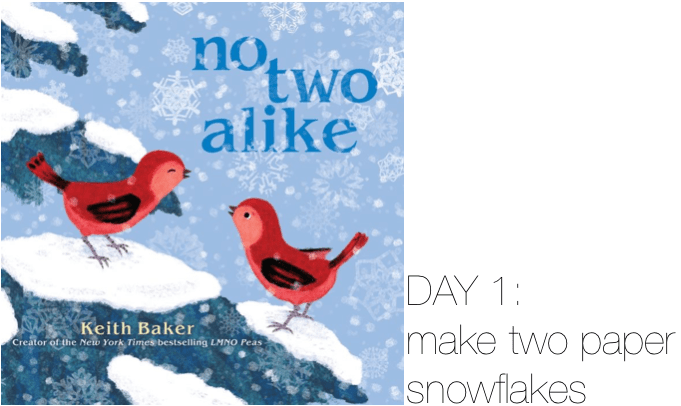 No Two Alike by Keith Baker. Fox’s Garden by Princess Camcam. 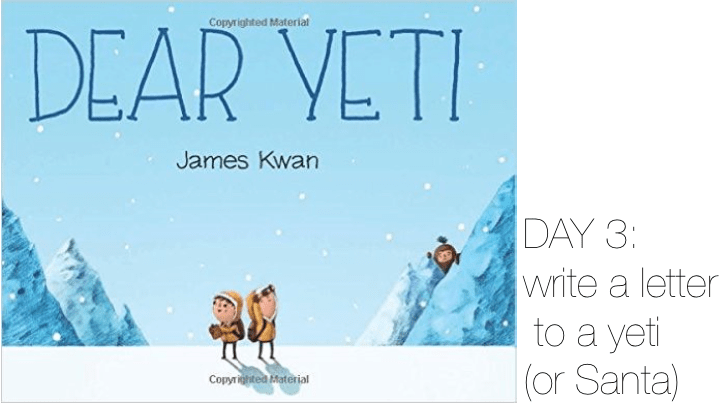 Dear Yeti by James Kwan. At the Same Moment around the World by Clotilde Perrin. 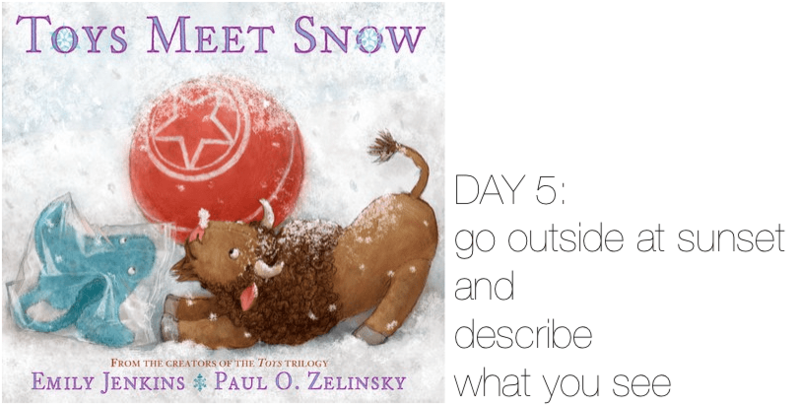 Toys Meet Snow by Emily Jenkins and Paul O. Zelinsky. 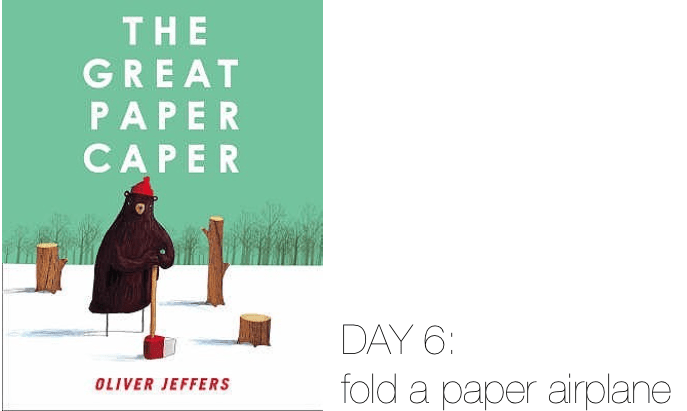 The Great Paper Caper by Oliver Jeffers. 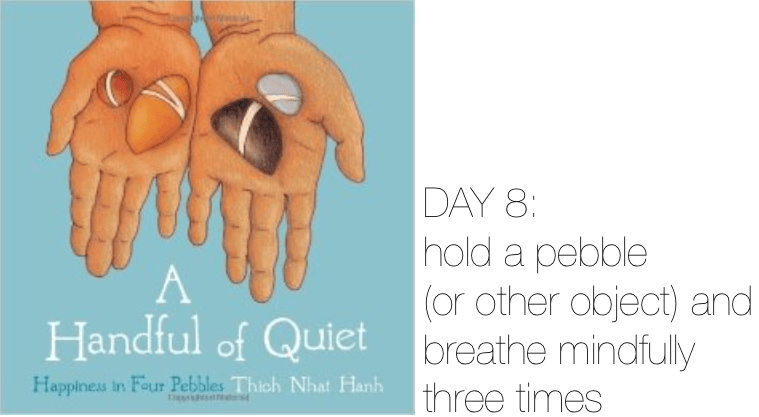 A Handful of Quiet: Happiness in Four Pebbles by Thich Nhat Hanh. 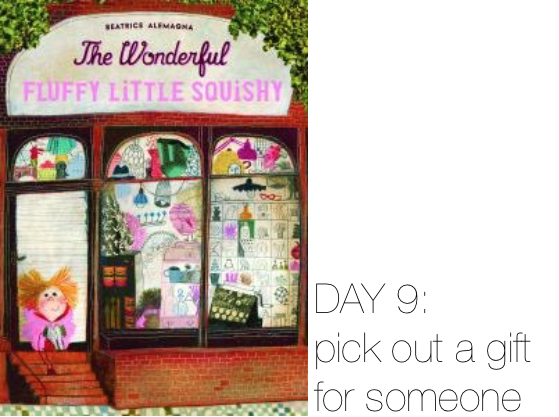 The Wonderful Fluffly Little Squishy by Beatrice Alemagna. 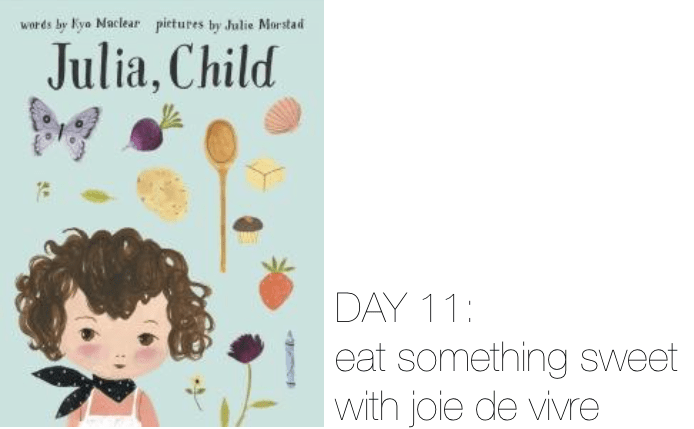 Julia, Child words by Kyo Maclear, pictures by Julie Morstad. 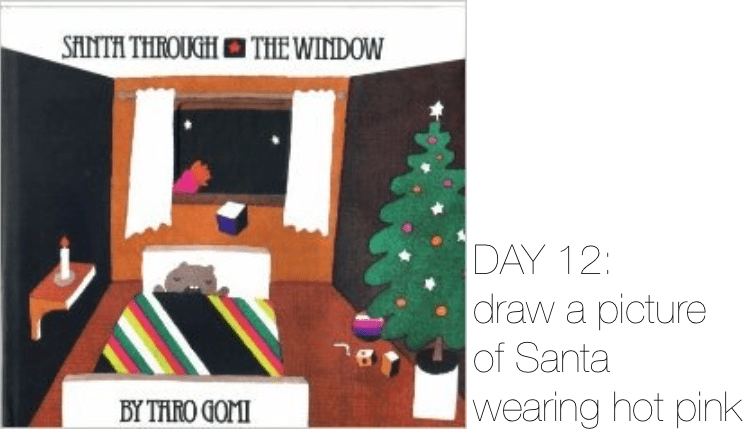 Santa Through the Window by Taro Gomi. 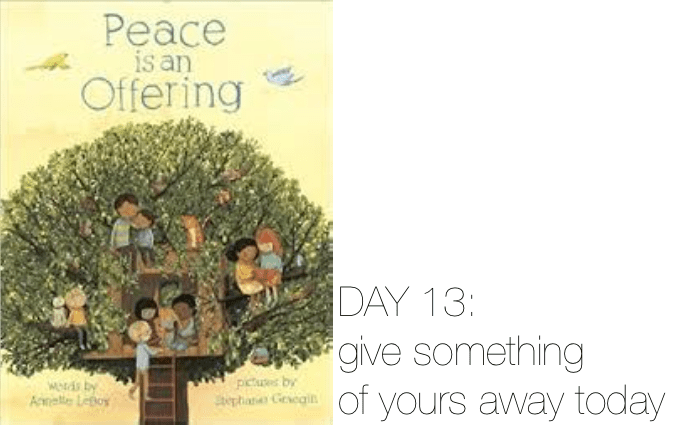 Peace is an Offering words by Annette LeBox, pictures by Stephanie Graegin. 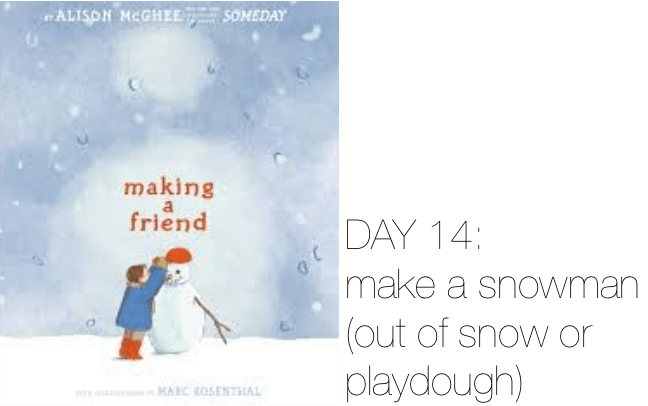 Making a Friend by Alison McGhee, illustrated by Marc Rosenthal. 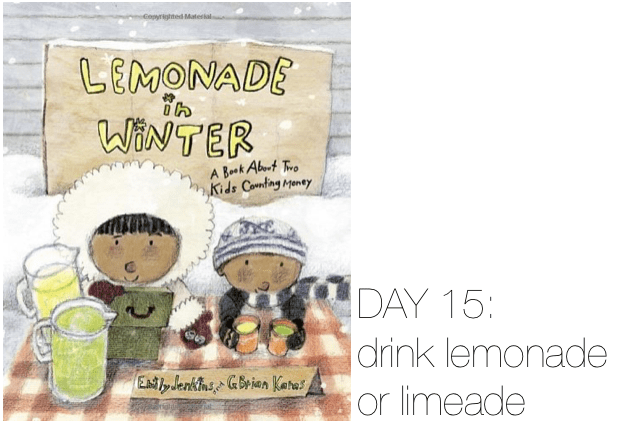 Lemonade in Winter by Emily Jenkins and G. Brian Karas. 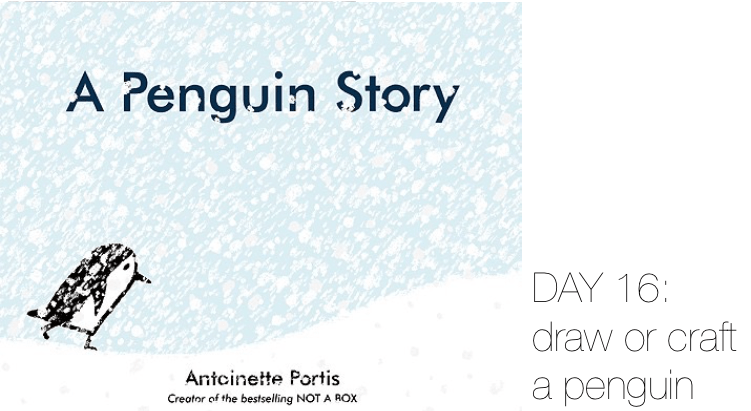 A Penguin Story by Antoinette Portis. 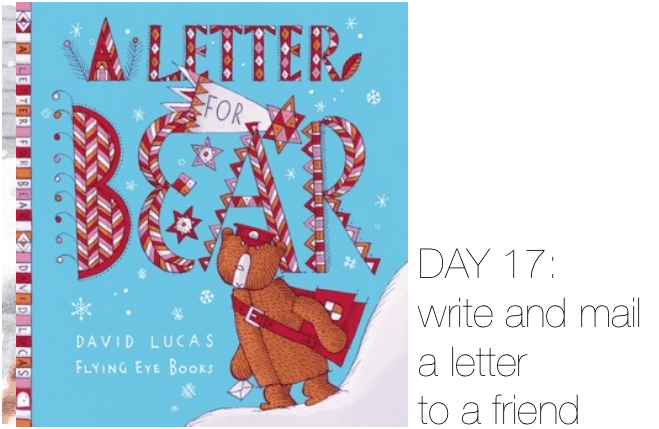 A Letter for Bear by David Lucas. 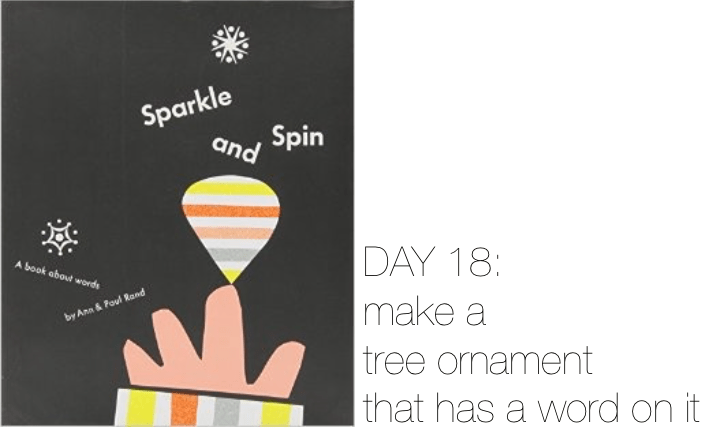 Sparkle and Spin by Ann & Paul Rand. 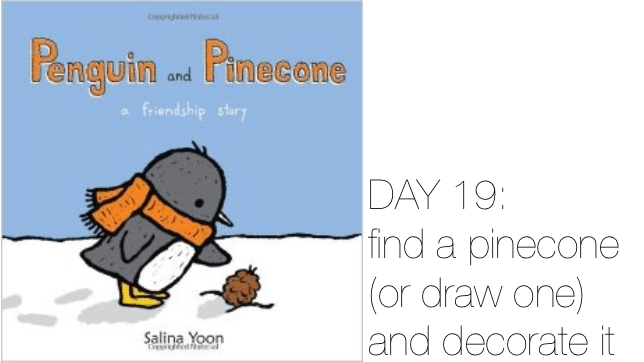 Penguin & Pinecone by Salina Yoon. 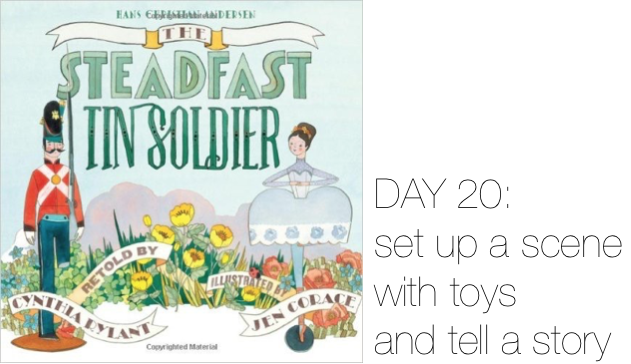 The Steadfast Tin Soldier retold by Cynthia Rylant, illustrated by Jen Corace. 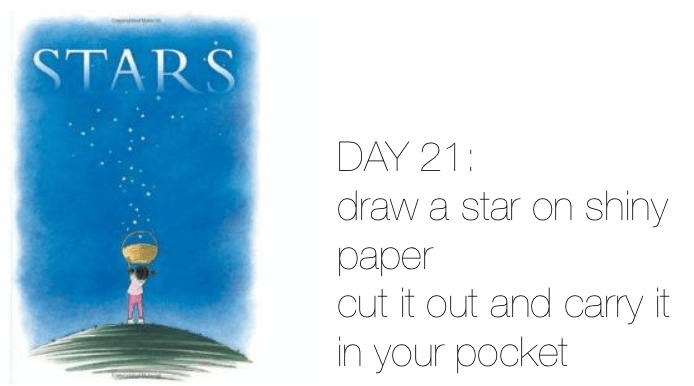 Stars by Mary Lyn Ray and Marla Frazee. Something Extraordinary by Ben Clanton. 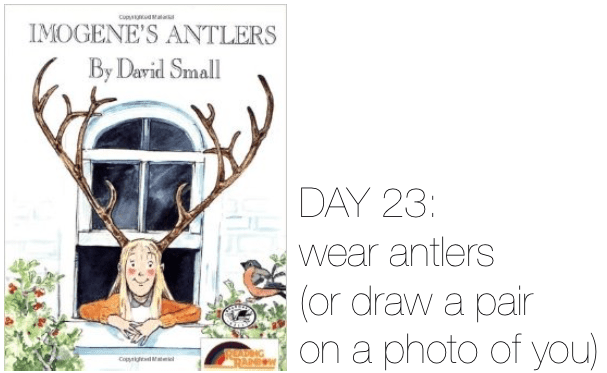 Imogene’s Antlers by David Small. 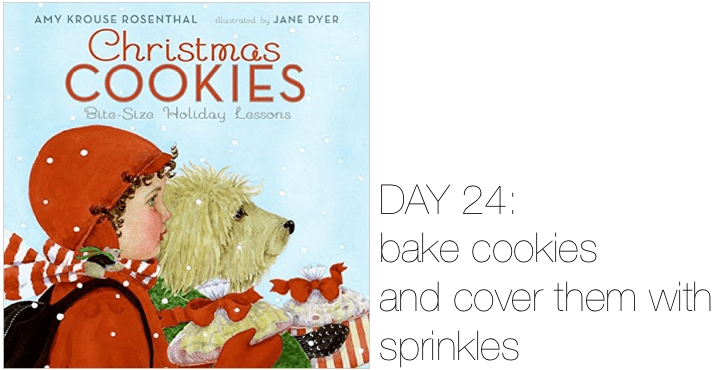 Christmas Cookies: Bite-Size Holiday Lessons by Amy Krouse Rosenthal, illustrated by Jane Dyer. I’ll be counting down the days, doing many of the activities. You can follow along on my Instagram @writesinla to see! Wishing you a joyful holiday season full of books and other wonderful things! 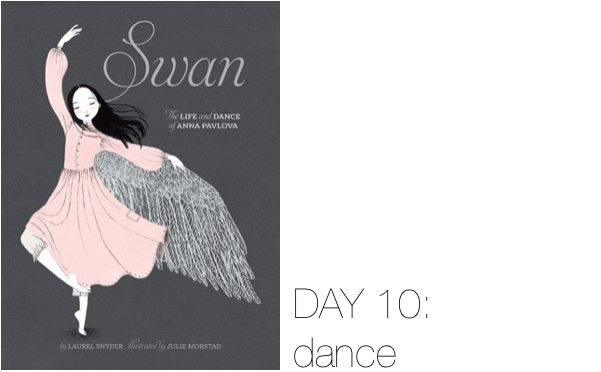 You might also like last year’s 12 Days of Story: The Snow Queen Advent Calendar. read the books, make the craft, do each day's activity! I love it! So many favorites here! This is awesome, Danielle. Really, awesome. 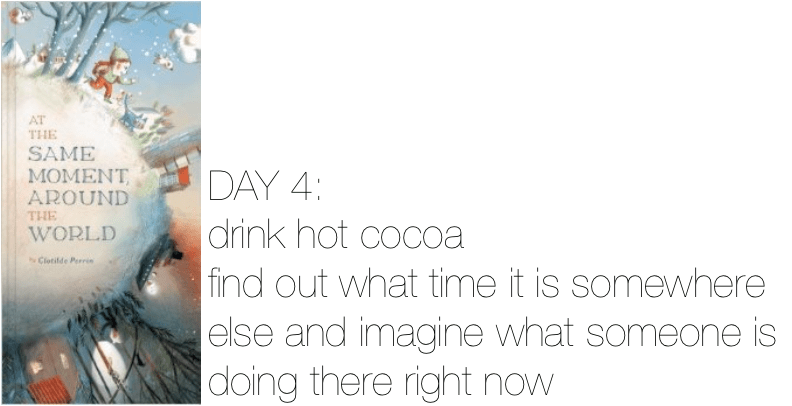 I never quite got the advent calendar thing… until now! 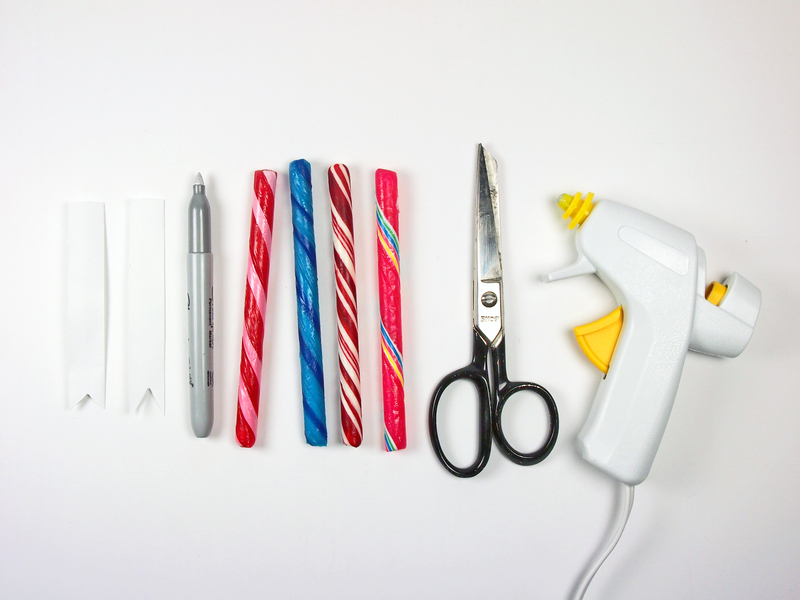 This is such a thoughtful, sweet and fun idea! I love it, and I want to do it myself (I might adapt the idea for my teaching, if you don’t mind). This is exactly how books come alive in the mind of the reader. It’d be terrific if you did some version of this with your students—make it your own! Yesss! I’m delighted you like it. Been there with library holds. 🙂 So happy you like it! 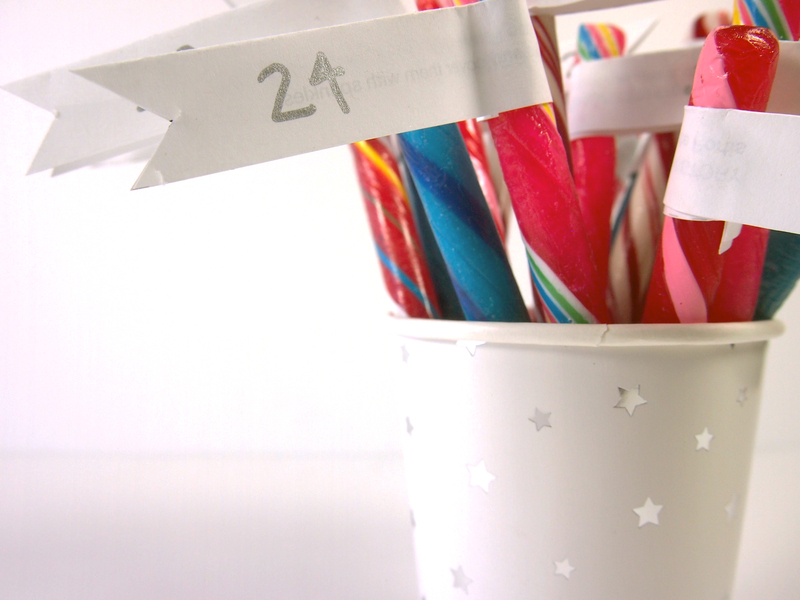 I think my favorite is Day 21 — LOVE that and love the whole advent idea! I hang up 24 of my kids’ baby socks and put a note in each day with an activity to do, place to visit, event to go to, etc. Kids love it and seeing this has given me some fab ideas for activities! Thank you! Great idea!! And thanks for including Something Extraordinary!